We all have our hobbies that we like to spend our hard earned money on. Some people love to clothes shop, travel, go out with friends on the weekends, race go-carts, hunt, fish, camp, hike, bike, or decorate the interior of their home. With limited resources, we all have to choose where to spend our money. Hence, when your dryer begins to make funny noises, it’s usually ignored. After all, who wants to spend money to get it fixed? J.R. Air Duct Cleaning serves the Bergen, Essex, and Passaic counties in New Jersey with both residential and commercial dryer vent cleaning services and air duct cleaning services. When your dryer starts making funny noises, odds are it’s crying out for help. Below, we’ll review the signs it’s time to get a new dryer. Contact us today for all your vent cleaning needs! Odd or unusual sounds. Sure, if you’re drying shoes, you’re going to hear the shoes rattling around as the drum in your dryer spins. 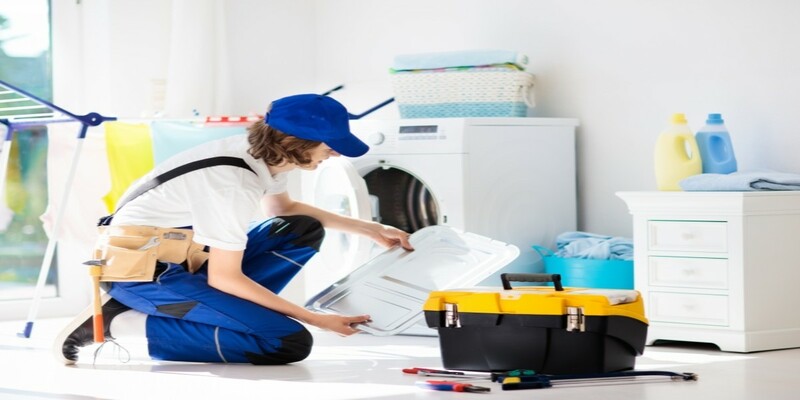 However, if your dryer is banging, clanking, rattling, or otherwise drawing attention to itself for no good reason, it probably needs either a dryer repair or replacement. Clothes aren’t drying. If your clothes aren’t drying properly, the first step is to call us, your local dryer vent cleaning service, to have your dryer vents cleaned. Too much lint in your ducts clogs them, inhibiting the air flow your dryer relies on to dry your clothes. Make sure the air ducts behind your dryer don’t have kinks or bends in them that is inhibiting air flow. You can also try to see if there are any blockages you can see or if there is something stuck in your air ducts — just make sure you disconnect your dryer first. However, if after having your dryer ducts professionally cleaned and your clothes still aren’t drying, your dryer definitely needs to be looked at by a dryer repairman. Age of your dryer. If your dryer is approaching a decade, it may be time to look at new dryers. The average lifespan of a modern dryer is between 10 and 13 years. Even if you think you have another year or two in your dryer, it may be worth it to upgrade now. Newer dryers are more energy-efficient and will dry your clothes with less amount of time, which could yield significant savings in energy costs in those few years. J.R. Air Duct Cleaning in Hackensack offers both residential dryer vent cleaning and commercial dryer vent cleaning services. Having your dryer vents cleaned regularly will prolong the life of your dryer since it won’t have to work so hard to dry your clothes, improve the efficiency of your dryer, and use less energy. It’s essential to have your dryer vents cleaned on a regular basis in order to minimize the risk of fires from lint buildup. You’ll experience cleaner air and breathe easier with dryer vent cleaning services. Contact us today for your free estimate!